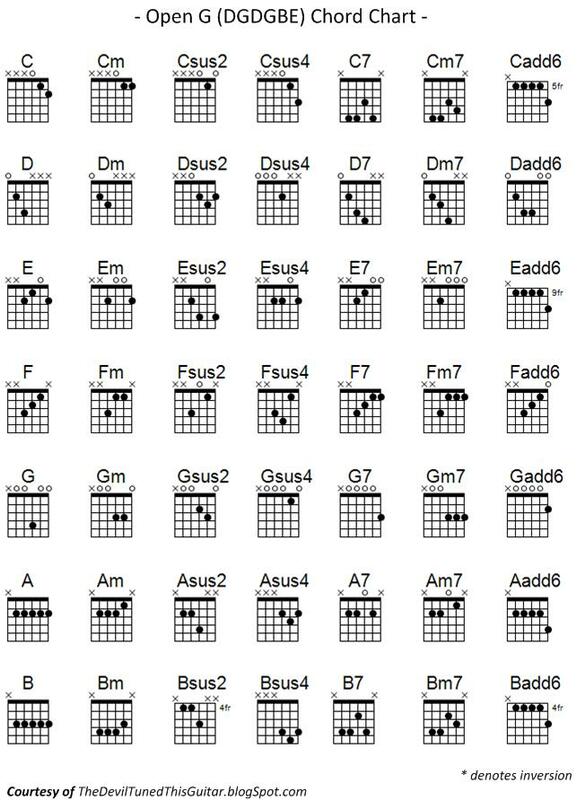 The most common chords in Open G tuning. Oops, forgot to mark the inversions. C, Cm, Csus2, and Csus4 are all inversions. To play them with C as the root, use the movable shapes, a la A and B, but on the 5th fret. Is the E in the tuning a typo? 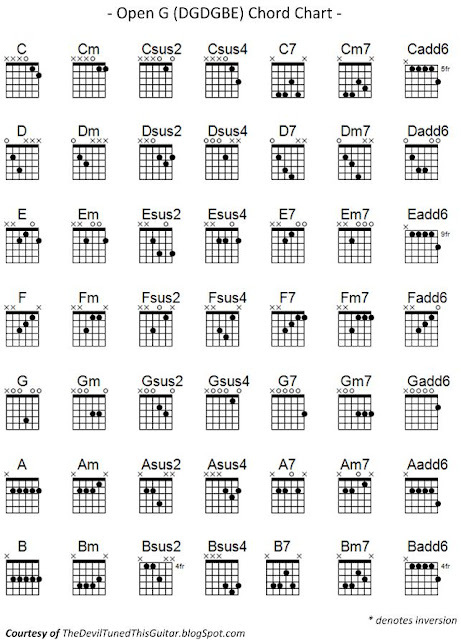 Almost every major chord requires muting the bottom (D) string. Why not just tune it to a G?